The KÜHL SHATTERD™ SHIRT features a double-cloth gauze inner fabric for superior softness and comfort. 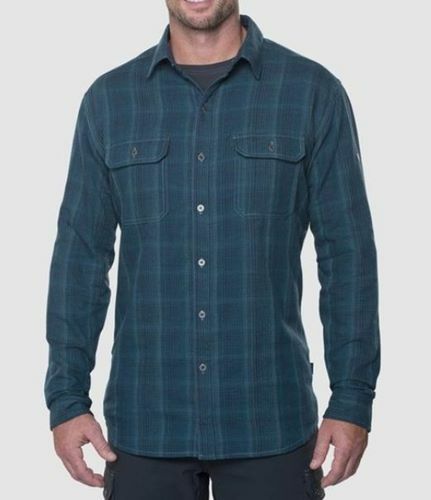 Constructed from soft cotton and durable polyester, the plaid outer layer contrasts with the deep, solid inner layer. 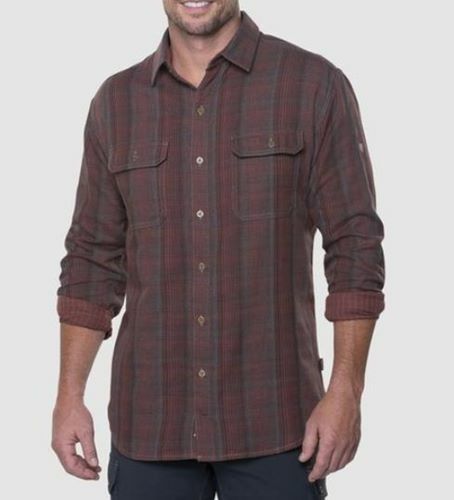 This casual and comfortable shirt features a button front, 2 chest pockets with flap closure and 2-button adjustable cuffs. Built with attention to detail, the SHATTERD SHIRT includes a hidden, inside security pocket and KÜHL's signature metal buttons.